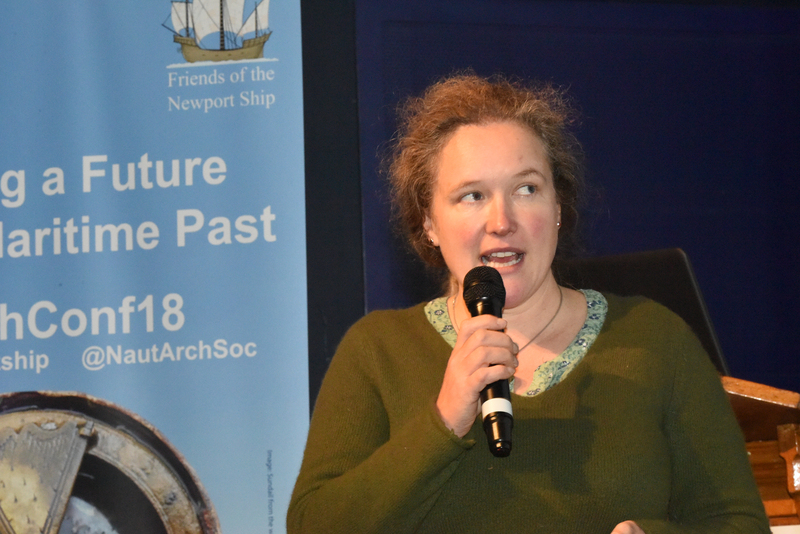 Over the two days, attendees at the Nautical Archaeology Society 2018 Conference presented a multitude of fascinating presentations from individuals and groups, highlighting the recent innovations and ground-breaking work being undertaken in the field of maritime archaeology, and updating members with fascinating finds and incredible projects. I learned about a range of projects being undertaken across the UK, with much emphasis on recording data, to enable retrieval and access by interested parties, using the internet. 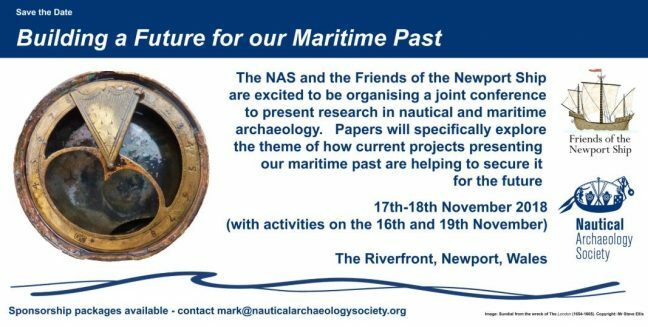 One project which really stood out is the Forgotten Wrecks of the First World War project by the Maritime Archaeology Trust. They have created a huge data-base, with lots of wreck information in it. The project funding is coming to a close, but it would be brilliant if the data-base could be expanded upon, to include wrecks around the country and of different ages. A huge resource! The Gun Rocks talk was given at 11 am on the Sunday Morning, and was televised on the Nautical Archaeology Society YouTube channel. You can watch it HERE! The talk seemed to be well received, which is great, even being mentioned in the summing up at the end of the Conference. Following the talk, the creation of this website seemed to peak quite a bit of interest too, so if you are reading this, and have questions about how I set up the website, do ask! 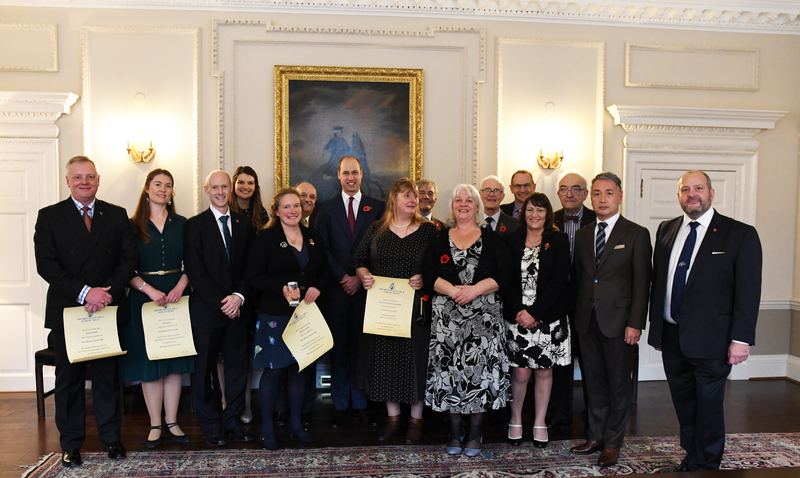 Duke of Cambridge Scuba Award Winners 2018! Wow, what a day! 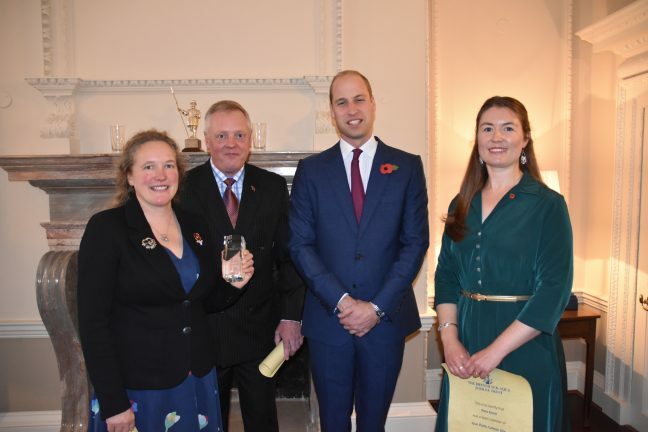 On Tuesday 6th November Team Gun Rocks, represented by Nic Faulks, Si Smith and Peta Knott, took a trip to Kensington Palace, to meet Prince William and to receive the DUKE OF CAMBRIDGE SCUBA AWARD! We had known about the award for 6 weeks or so but were sworn to secrecy. This meant as excited as we were, we could only tell close friends and family. It was a hard decision to make, who we should take. So many people have given their time to the project. In the end we decided to go with the core of the group, but we won’t forget how much input the project has had from club members, other BSAC members, divers from other agencies and non-divers too. So how did the day unfold? We all met at the entrance gate at 1345 to sign in. I had to have another photograph taken as the one I sent through previously they had put on my ID badge up-side down! We met everyone else representing BSAC, Jubilee Trust and the two teams that were highly commended. After 20 minutes we were lead through into the Palace room. There was a short brief on how the greeting would work, what we should call him, if we should shake his hand…. Prince William then entered. He greeted everyone, then chatted to the Gun Rocks group for about 10 minutes, finding out all about the project. Peta had come prepared and showed him a video on her ipad of the website, photos and 3D models. I gave him a copy of the dive trail maps and leaflets. We were then presented with the award. After a few more photographs, he left, of to more meetings. Although we were only in the Palace for an hour, it was a fantastic experience. The atmosphere in the Palace is amazing, very formal, but relaxed. ON the way in, there was also a fabulous avenue of Gingko Biloba trees, leading up to the Palace, they looked so beautiful in their autumn colours. We then all headed over to the Goat Pub for fizzy and a grand chat! To read more, click on the link below. 2018 Dive Season Ending Soon…..